Maryland, parallel parking, drivers' test, slow crumbling of civilization. 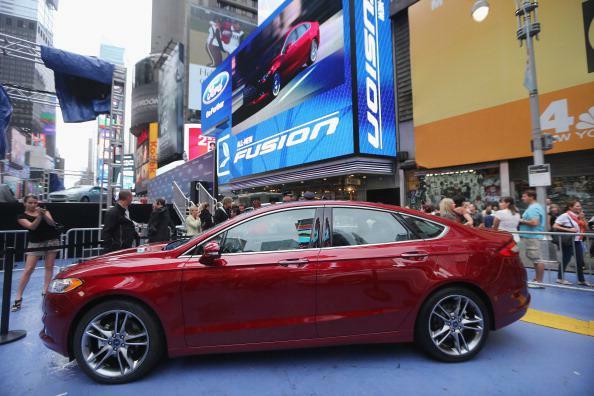 The Ford Fusion can automatically parallel-park itself. Yeah, go ahead, let a robot do it for you, you babies. The Maryland Motor Vehicle Administration eliminated parallel parking from the state’s driving test Tuesday, determining that mastering the much-feared and obsessively practiced skill would no longer be necessary to secure a license in the state. Maryland joins neighbor Virginia (but not Washington, D.C.*), in not assessing parallel-parking skills, as well as these states: Alabama, Arkansas, California, Colorado, Florida, Illinois, Maine, Nebraska, North Carolina, Ohio, Oregon, South Dakota and Wyoming. What? Get out of here, Maryland, Alabama, Arkansas, California, Colorado, Florida, Illinois, Maine, Nebraska, North Carolina, Ohio, Oregon, South Dakota and Wyoming. It’s simply a matter of “redundancy,” MVA spokesman Buel Young said. The test includes a maneuver called a “reverse two-point turnabout,” which involves the same skills at the wheel as parallel parking, Young said. No. No it doesn’t. A reverse two-point turnabout is not the same as parallel parking. That’s why no one is stressed about learning a “reverse two-point turnabout” before their test. This is the same kind of weak-minded thinking that produces people with college degrees who can’t mentally calculate a restaurant tip. Or who go to the gym and talk on their phones the entire time while moving 0.5 mph on an ellipitical machine. Learn to do math. Run on the treadmill (or outside). Learn to parallel park. You babies. It’s hard, that’s the point. *Update, 5 p.m.: Washington D.C.’s test does not involve parallel parking, according to the Washington Post and a Slate staffer who took the test there.